Caption - Electricity Supply Commission (ESCOM) in South Africa had a superb mixed fleet of immaculately maintained 3 foot 6 inch gauge steam locos. Amongst these was this Avonside 4-8-2T (2009 of 1927) in superb polished condition when photographed at Grootvlei Power Station in the Transvaal. 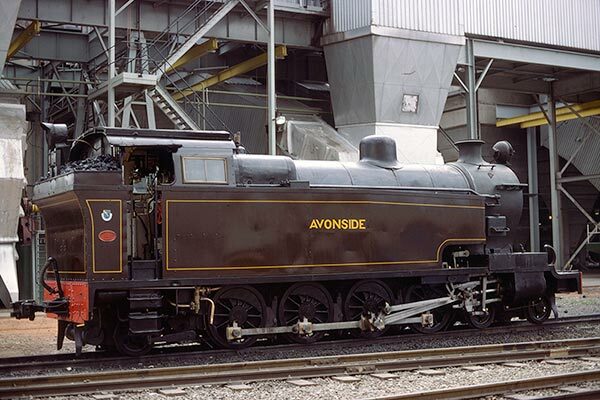 Avonside didn't produce many 'big' engines and this was, I believe, a unique loco. It might be a cliché but it was so clean that you could eat your dinner from the footplate despite being in steam and shunting wagons of very dirty coal.